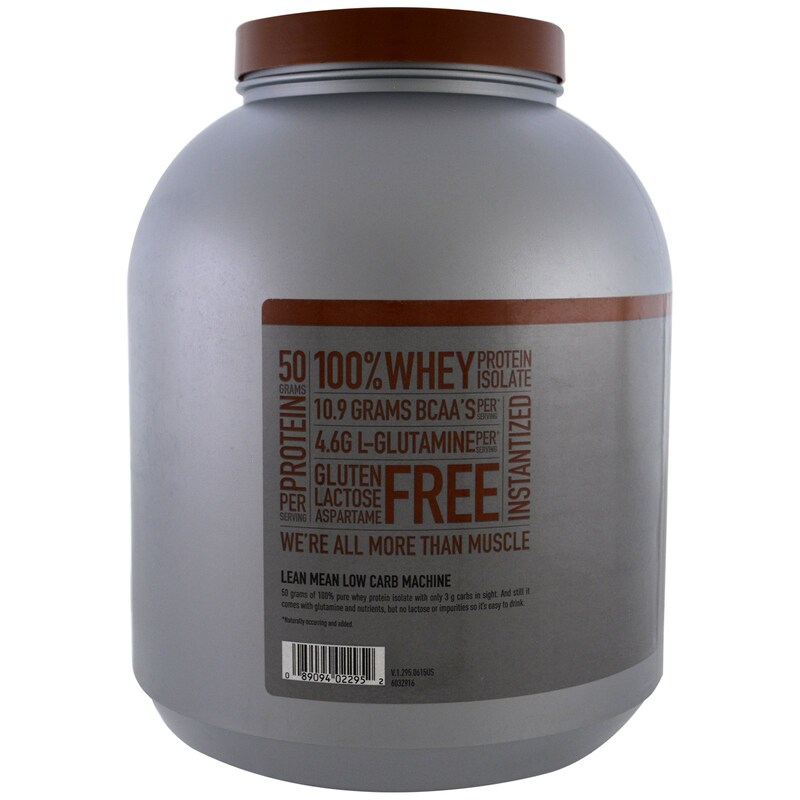 50 grams of 100% pure whey protein isolate with only 3 g carbs in sight. And still it comes with glutamine and nutrients, but no lactose or impurities so it' easy to drink. For a rich, thick shake, mix 2 scoops with 12 fl oz of water in a shaker or blender. 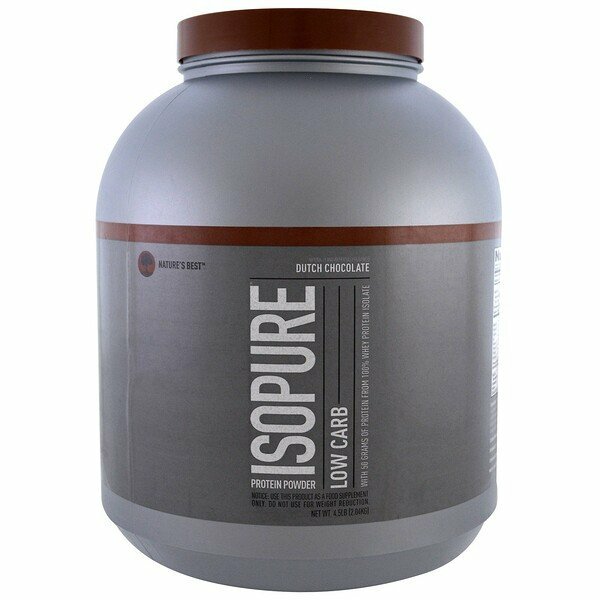 If a shaker or blend is not convenient, Isopure Low Carb can be stirred into solution with a spoon. Drink one serving daily. 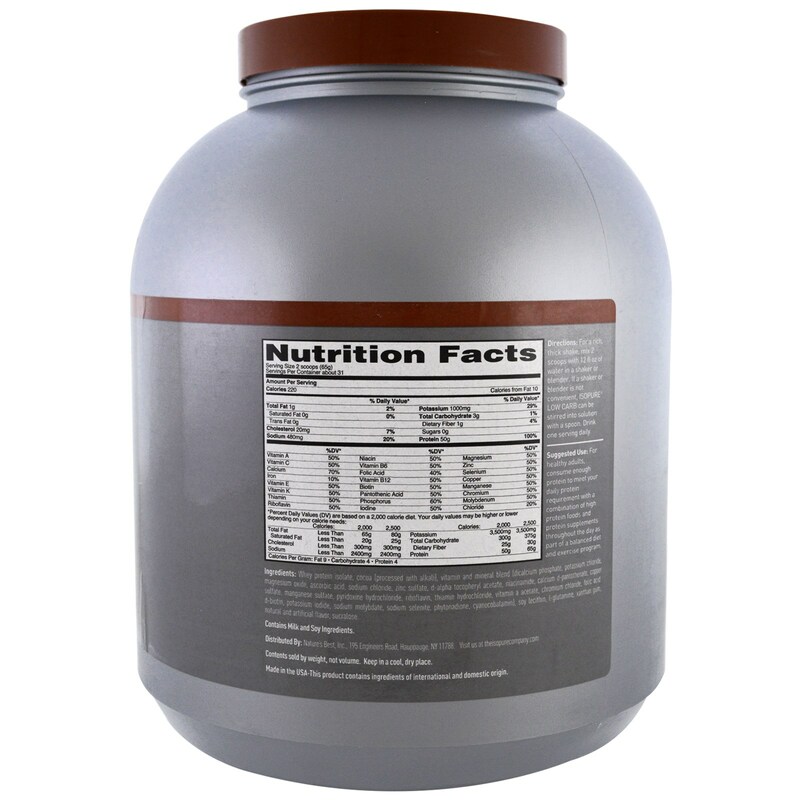 Whey protein isolate, cocoa (processed with alkali), vitamin and mineral blend (dicalcium phosphate, potassium chloride, magnesium oxide, ascorbic acid, sodium chloride, zinc sulfate, d-alpha tocopheryl acetate, niacinamide, calcium d-pantothenate, copper sulfate, manganese sulfate, pyridoxine hydrochloride, riboflavin, thiamin hydrochloride, vitamin A acetate, chromium chloride, folic acid, d-biotin, potassium iodide, sodium molybdate, sodium selenite, phytonadione, cyanocobalamin), soy lecithin, l-glutamine, xanthan gum, natural and artificial flavor, sucralose.